Here we offer a complete set of FREE training lessons for a new puppy. If you have a young puppy, it is important that you start with his training immediately. Puppies do need to be taught how to behave and it is much more effective if training starts in early puppy-hood, when they learn very quickly. We cover time proven training methods for many common (and not so common) puppy problems. There are lots of helpful tips and good directions to take here, to make sure he or she grows up into a well behaved adult dog and a cherished member of your family. Now, every puppy owner has their share of problems – from the normal puppy chewing, biting, whining and barking – to the harder to understand problems like puppy separation anxiety and puppy fears. The excitement and fun of having a new puppy can quickly deteriorate into frustration when things go wrong, if or when puppies don’t behave quite as well as expected. Owning a dog should be a pleasurable thing in your life, but for many reasons, many people experience behavioral problems with their puppies. Most of these problems can be resolved quite quickly once you learn the basics of training your dog and apply them. Please have a browse around our website pages for much more information, right from initially choosing and bringing your pup home, through to making sure he or she grows up into a well behaved adult dog and cherished family member. These are the first and most basic things to teach a puppy. 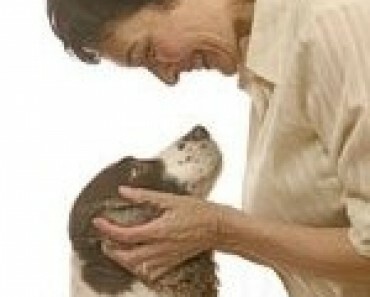 The lessons are very simple and use positive reinforcement dog training techniques. Make sure to follow along in consecutive order for the best results. The first thing to do when you get a new puppy home is to teach him what his name is. Teaching your new puppy to sit is very simple and one of the first things you will be able to teach him. Most important puppy training lesson is this one. It is imperative that your puppy comes when called, for his own safety. Teaching your puppy to stay is a bit more difficult, but we explain how to go through this process so both you and your puppy will understand and learn. This is a fun lesson and easy for your puppy to learn. He will probably amaze you at how quickly he gets this puppy training lesson under his belt (or collar). Seriously, who likes a puppy that leaps all over them, and all over everyone else too? Not many people at all. Teaching your puppy not to jump up on people is a very important part of his basic dog obedience training. This puppy training lesson will enable you to enjoy taking your puppy on outings because you know he will remain in your control at all times. Dogs that pull on their leashes are not much fun to walk. Well, we hope you will enjoy our free online Puppy Training Lessons, and that you put them to use. If you do, your new puppy will soon be a well-behaved and happy little pooch that fits in perfectly and behaves like an angel! And, please come back and let me know how you are going, I’d love to hear about your puppy’s progress. I just wanted to commend you on making these lessons available for free. We appreciate it, and so will our most excellently behaved springer spaniel, Tina (well that is once we actually do the training). Springers are such a ball of energy and need sound training, so thanks again. Great articles and I love your explanations. Very helpful. I am sure my mini poodle with end up the perfectly behaved dog after I get through with these training steps. Awesome thanks for great info. Hey this is a really great help. Tori, my dog is going to have some work to do.